A man who robbed the cashier’s cage in the Bellagio’s poker room Friday night has died hours after being critically wounded in a shootout with police in the casino’s north valet parking area. The man, whose identity has yet to be released by authorities, exchanged gunfire with Las Vegas police officers while trying to carjack a vehicle following his robbery. The unnamed armed robber fired at the officers first, striking one who was, fortunately, wearing a Kevlar vest. That officer was treated and released without serious injury. It was a second officer, according to an LVPD statement, whose return fire struck the robber, also in the chest. No other officers or bystanders were reported injured in the incident. The unnamed robber succeeded in obtaining $35,000 from the Bellagio poker room’s cashier’s cage, then fled the room to the very nearby north exit, just a few dozen yards away. 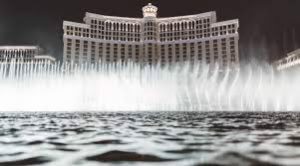 While the Bellagio’s staff, as with most casino employees, is trained to turn over the money peaceably to minimize the risk of injury or death to patron, the situation changed once the robber opened fire on the police officers in the valet parking area. According to an ABC News report, there were far more armed officers on the casino property than normal when the robbery occurred at about 9:45 pm on Friday. Those extra officers were there to help in the search for a reported missing child somewhere in the casino. As is normal on a Friday night, the Bellagio’s poker room was busy. Numerous well-known pros reported being present when the robbery calmly left the scene with the cash, and minutes later, when more officers arrived to cordon off the cashier’s cage as a crime scene. The entire poker room was reportedly on lockdown for a short while, an expected circumstance given the brief gunfire exchange that occurred nearby. The guy that robbed the cashier cage at the Bellagio should have walked south 10 yards and took our money in Bobby’s Room. He got 35k and we had about 200k in cash waiting to put it on deposit. Waitress said she could have hit the guy as he slowly left. Unfortunately, the proximity of the Bellagio’s poker room to a casino exit may have made it a more appealing target, though it’s not the only such Vegas casino with that situation. The Sahara (now known as SLS Las Vegas), experienced a similar poker-room robbery in 2008, where the robber quickly fled through a nearby exit. 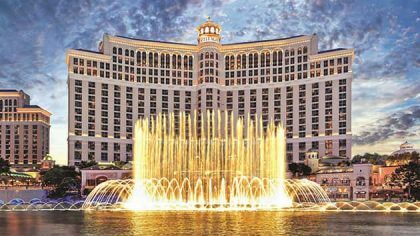 The Bellagio, however, for unknown reasons, has seen far more than a normal share of robberies and robbery attempts. In November of 2017, a lone armed robber successfully eluded authorities after hitting the same poker-room cashier’s cage for an unspecified amount of cash. That robber was never apprehended despite surveillance footage. That robbery came several months after three masked people used sledge hammers to break into an upscale jewelry kiosk at the Bellagio, though at least one of those robbers was later apprehended. Prior to last night’s robbery, however, the most famous robbery at the Bellagio (outside of film) was the “biker bandit” episode of 2010, in which Tony Carleo, the son of a Las Vegas judge, successfully rushed a high-stakes table game, grabbed several handfuls of chips, and managed to rush out of the casino to a waiting motorcycle, successfully making his escape. Carleo, though, was caught soon enough, through his attempts to convert the stolen casino chips into real money. The former nickel-dime gambler soon returned to the Bellagio and tried to cash out $209,000 in chips. He also tried, unsuccessfully, to sell some of the stolen $25,000 “chocolates” (casino chips) on 2+2. Carleo was sentenced to nine years in a northern Nevada prison, where he remains today. There have been other incidents as well. The Bellagio was the casino where 2004 WSOP Main Event champion Greg Raymer successfully fought off two would-be robbers who followed him to his room at the “O”. Raymer yelled for security while flailing with the assailants, one of whom brandished, but did not use, a silver handgun.